India is rising . Women are rising. The world is taking notice and we have Mother Saeaswati to guide us along the way! 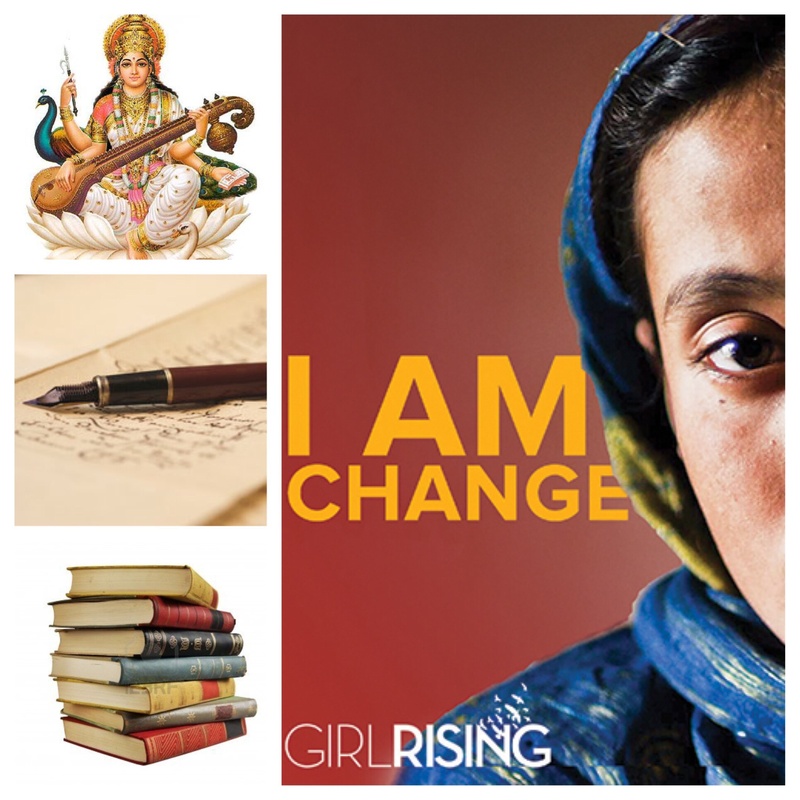 Yes – India is Rising and will continue to rise because the women are also rising! So so true! It is a shame to our culture and our very existence to have tolerated so much injustice done for such a long, long time! Women in certain other parts of the world have suffered similar brutality and injustice also but it is disturbing to accept as a goddess worshiping society! It makes you want to think more deeply when you see those huge processions and gatherings for Durga and Ambika! Ma Saraswati needs to bestow better education on the entire populace! In my opinion, this has been the most powerful blog you have posted yet. Seriously. (although all your other posts were also brilliant). I loved this. And it’s true. At least people are beginning to speak up for the rights of women to get an education, although it depresses me that it took until the 21st century to get there. I also cannot wrap my head around how men, who worship a woman, treat a woman on earth so poorly. (Funny thought? Reminds me of a scene in movie “Dil Bole Hadippa” – she mentions this when the men laugh that a girl wants to play cricket and then they bow down to worship a woman) !! So true Shiksha- it’s a difficult thought to wrap our heads around! And you are right- I do remember that scene from the movie- great observation!